Whether it be providing child minding or creche services at weddings and corporate functions or conferences, private babysitting services or coordinating an entire school holiday program, children’s festival or birthday party; the highly qualified and caring team at Kidzklub expertly deliver. Byron Bay based founding director, Trudi Luke first established KidzKlub back in 2003 as a dedicated play centre, babysitting agency and adventure company with a vision to make it easier for parents to do the things they want and need to do without the kids missing out. As the vision evolved, so did the KidzKlub team, which now encompasses a staff of highly trained and fully certified carers including qualified teachers, teachers in training, nurses, social workers, childcare professionals and skilled entertainers, all who possess a genuine passion for children and a personal zest for life. 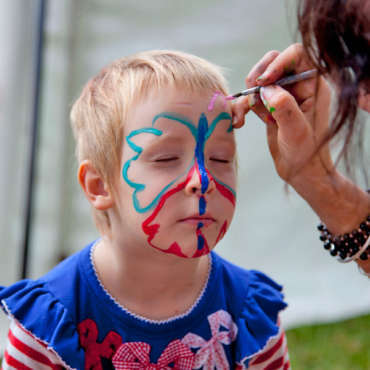 With their many years of combined experience the KidzKlub Australia team are experts in creating fun activities and play based experiences that ensure the kids are kept amused and entertained for the duration of the event. KidzKlub Australia staff complete extensive background and clearance checks and are certified in risk management and first aid.